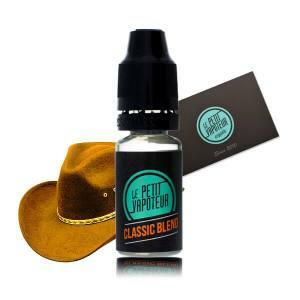 Le Petit Vapoteur, best site for e-liquids, offers you a wide range of flavours. Make your choice according to your tastes: mint, tobacco, fruity, etc. Discover our best e-liquids too such as Green Vapes, Alfaliquid, Snake Oil, etc. With our top-quality products, the time when you smoked cigarettes will seem long long ago. And note that the production of e-liquids in France is a guarantee of extra certainty. Don't wait any longer to order your e-liquid kit with just a few clicks. 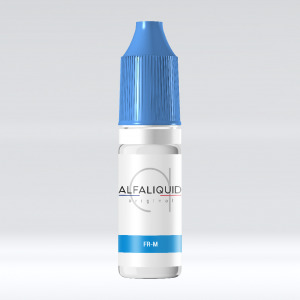 Best Seller Alfaliquid, A Classic Blond which will never leave your side. Perfect to begin with. A new version of the Tribeca in 30/70% PG/VG. For amateurs of Clouds. The Watermelon E Liquid is a subtle mixture of Sweet Melon and Juicy Watermelon... Guaranteed freshness. Cold sweat in the jungle! Tropical Chill is a very fresh tropical fruit cocktail. A fresh Pineapple, subtle, acidic and not to ripe. "Pineapple-pen" Not at all, delivered without the pen ! A fruity cocktail and surprisingly mixed perfectly with Banana, Peach and Bubble-gum. Two fruits full of character, Blue and BlackBerries. A sweet duo, acidic and balanced. A mixture of Red Fruits, Blackberries and Dragon Fruit. Discover a pizza garnished with tomatoes and herbs from provence. In a 50 ml version, a red fruits lemonade, with notes of Violet Candy. Vape a very fresh pineapple which invites you to a tropical voyage ! Enhanced with a hint of acidic Strawberry, this sweet Melon and Watermelon mixture proposes a fruity vape. ! Savour a mixture of exotic fruits combined with a touch of freshness ! Appreciate the savoury mixture of Strawberry, Raspberry, Blackberries with a touch of squeezed acidic Lemon ! The taste of Peach and Apricot associated with Vanilla enhanced with Dried Fruits. The Atomic E Liquid offers rich classic aromas with a beautiful finished touch! The Maharlika E Liquid offers excellent Classic Flavours accompanied with Vanilla and Caramel! The Kung Fruits E Liquids offer a soft and sweet flavour of Litchi. Appreciate the Le Coq Qui Vape E liquid with flavours of freshly handpicked Strawberries. Of Apple and Grapes associated with notes of Menthol for a beautiful fruity and fresh sensation. A liquid with savoury flavours of Red Fruits, Strawberries with a hint of acidity + nicotine booster of 10 ml. Appreciate a cocktail of Red Fruits accompanied with Liquorice and agreeable Fresh Mint. A duo of Strawberries which marry perfectly with White Mint, Aniseed and Eucalyptus. Without a doubt one of the most well known liquids in the world. Classic type RY4. A Classic blond américain. An essential flavour, light and soft to vape. A Blond Classic, uncovering shades of Caramel. With Nicotine Vapology made in France. Fruity Ice. A Blackcurrant of 3000 meters in Altitude when the sky turns purple, with this surprising "come back" taste. A flavour which is very Vegetale, with light notes of Lemon. CBD E Liquids Made in France. Dragon Fruit, Lychee, Grapes and Pineapple. 50ml Bottle in 0mg. Very Fresh and Sweet. The Exotic is an E Liquid with Guanabana Juice topped with Tropical Fruits. Take some time to taste this Infusion of Verveine and Lemon. Surprise yourself with a Roast Chicken straight out of the oven. Pronounced Brown Classic. For amateurs of frank and virile tastes. A mixture of complex and different Mints with a mystery ingredient. The perfect association of Watermelon and Melon with a touch of Menthol freshness! Make the most of this fruity Apricot associated with gourmet Madeleine with the La Bonne Vape E Liquid ! Appreciate a Pineapple and Caramel with the Cirkus Gourmet Pineapple ! Taste a Lemon and Lime Sorbet with the Bryn's Special Sauce E Liquid. This Atomic E Liquid will offer you savoury perfumes of Fresh Mint! This Kung Fruits E Liquid offers a taste of Melon E liquid. This excellent Mojito Cocktail served to you by Dinner Lady. Try in complete urgence! A classic with Caramelized Vanilla mixed with excellent Scotch Whisky with smoky and spiced notes. Find the famous taste of Soda in E Liquid for a sparkling vape. The Beta reunites Apples and Peach, embellished with notes of Menthol for beautiful freshness. Appreciate the taste of a juicy yellow Mango accompanied with a mixture of fresh fruits + nicotine booster in 10 ml. A packet of Popcorn with melted Salted Caramel Butter, accompanied with Vanilla Pods. The FR-M is 50/50% in PG/VG. For a round vape and good production of vape. A delicate Mint, sweet and fresh with a Liquorice heart. With Nicotine Vapology made in France. Red Fruits with dominating Blackcurrant and Black Grapes.. With a fresh finish: Soft Eucalyptus, Aniseed and Menthol. A flavour which is very Vegetal, light notes of Lemon with the freshness of Absinthe. CBD E Liquids Made in France. A detonating mixture of Guava, Papaya, Mango and other exotic flavours. The Pineapple E Liquid is a sweet, juicy and fresh Pineapple. A mixture of sunshine fruits, Peach, White Nectarine, Apricot and Pineapple. To endure the Summer. Blue fear in the woods! This Blue Granite is composed of Blueberrries, refreshing with a touch of Aniseed. CBD Liquid which brings out mixtures of Cardamom and Limonene. A must from Full Moon. Discover Mango, Pineapple with a mysterious Red Fruit which is slightly acidic. Crack for a delicious Peanut which will reveal its lightness in the mouth which will surprise you!